Leading Exporter of non basmati rice packing bags, african quality rice bags, printed rice bags, food grade rice bags, durable rice bags and export quality rice bags from Surat. 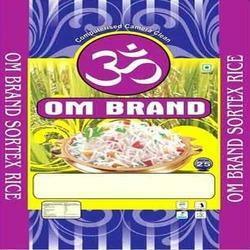 We are one of the most prominent manufacturer and supplier of Non Basmati Rice Packing Bags. These are widely used for packing and storage of non basmati rice and allied products. Available in various options of length, width, denier, colour, design and customer specified patterns. These are made by using superior quality basic material, these have long lasting performance and waterproof finish. Available in various sizes and capacity, our clients can purchase these from us at most competitive prices. We are producing quality bags for packing African Quality Rice Bags highly durable and hence provides the protection needed and avoiding spillage, spoilage and infestation. To meet the specific customer requirements we provide the facility of customization. Rice Bag is offered in varied sizes and looks and can be customized as per the requirement. 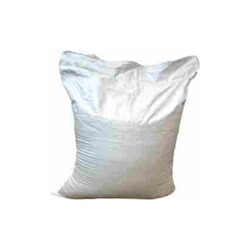 Rice Bag has high strength and ensures long lasting finishing. Our range is delivered within the prescribed time frame. 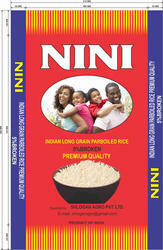 Our Printed Rice Bags are much superior to other brands available in the market. Strict quality assurance and usage of selected brands of raw material and additives ensures the ultimate quality of the product. We offer these bags in variety of shapes, sizes, prints and capacity level, as per the needs and specifications given by our customer. 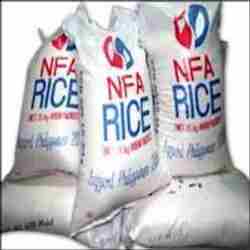 Further, clients can buy these rice bags from us at market leading prices. Backed by our years of industry experience, we are betrothed in producing an excellent quality of Food Grade Rice Bags. These bags are designed using high-grade polypropylene film material under the guidance of our experienced professionals at our modern designing unit with the aid of latest techniques. The provided bags are used by the farmers who require such bags for storing grains. Additionally, these bags can be availed from us in numerous prints, patterns and colors. 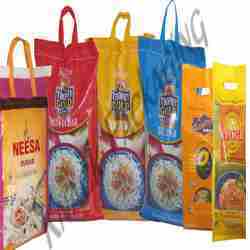 We are one of the most prominent manufacturer and supplier of Durable Rice Bags. These are widely used for packing and storage of rice and allied products. Available in various options of length, width, denier, colour, design and customer specified patterns. These bags can be printed in accordance to the customer's designs and logos. These bags are perfect for the purpose of packaging grains. Our offered product is widely appreciated for its quality attributes and durability by clients across the nation. We are manufacturer and supplier of Export Quality Rice Bags with the weight of 25/50 kg. These are widely used for packing and storage of export quality rice and allied products. Available in various options of length, width, denier, colour, design and customer specified patterns. We offer these bags in diverse sizes and other related specifications, in compliance with details specified by clients. Moreover, we provide our esteemed clients with the entire range at market leading prices. Our Basmati Rice Packing Handle Bags are much superior to other brands available in the market. Strict quality assurance and usage of selected brands of raw material and additives ensures the ultimate quality of the product. The material used in manufacturing these products are sauced from authentic vendors. The offered products are suitable to carry a vast amount of rice. Moreover, these products are available in the market at industry leading prices. 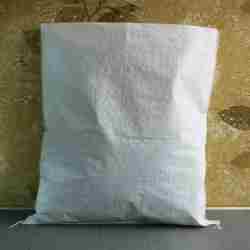 Parboiled Rice Bags are very popular in the domestic market as well as in the markets abroad. As the name indicates the usability of these bags are very convenient to the customers. We offer a varieties of Parboiled Rice Bags with respect to the specific need of the clients. 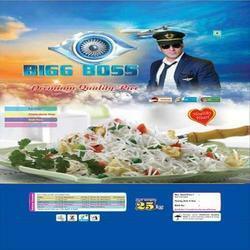 This product is extensively used to keep products in safe and fresh manner. Our products are highly admired in market due to user-friendly nature.